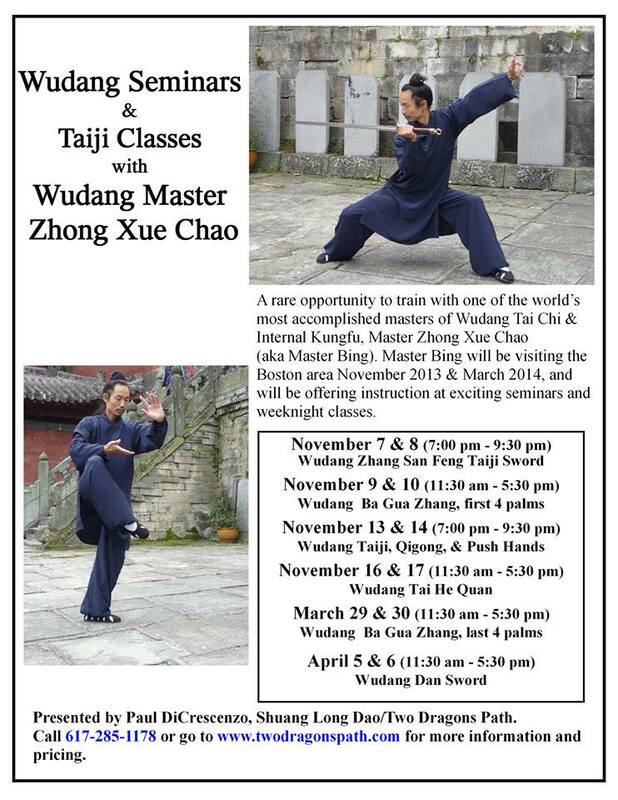 We have most of our schedule set for Master Bing's visit here with us in the Boston area this fall and spring. Lots of exciting seminars and classes planned! Here's what we have scheduled so far, locations for the weeknight classes to be announced soon. The weekend classes will be held at our beautiful practice space on the top floor of the Melrose YMCA. Go to our website, www.twodragonspath.com, for more information or to sign up. Early registration for the seminars gets a free training DVD of the seminar's form as well as the special rate!